Most powerful Suzuki Swift in the world: How they got 350 Bhp, and why you can't! Most powerful Suzuki Swift in the world: How they got 350 Bhp, and why you can’t! The Maruti Swift sold in India makes 82 Bhp (petrol) and 75 Bhp (diesel). What if we told you that the world’s most version of the Swift puts out more than 350 Bhp. at the wheel. Oh yes, it’s true, and this is a power output you’ll never be able to enjoy legally in India. While we’ll get to that in just a bit, here’s how the 350 Bhp Swift came to be. Well for starters, it’s a race build, which means that sky is the limit as far as budget goes. With a lot of money and the right people working, any car can be built very powerful. 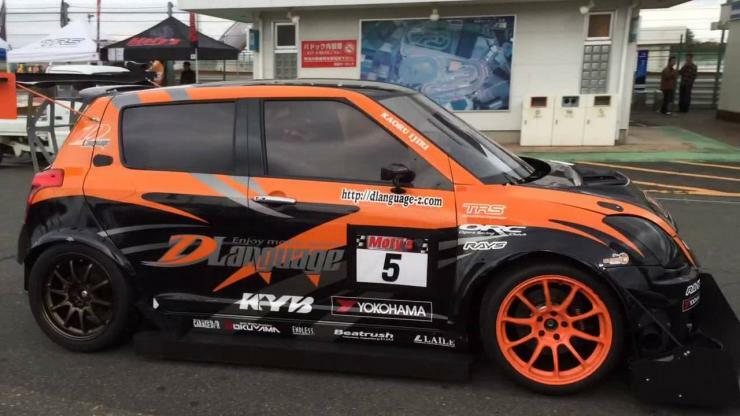 The folks at D-Language, a racing team from Japan, took a stock Swift Sport with a 1.6 liter naturally aspirated petrol engine. The stock car made 120 Bhp. They stripped the car and eliminated most creature comforts to make it as light as possible. 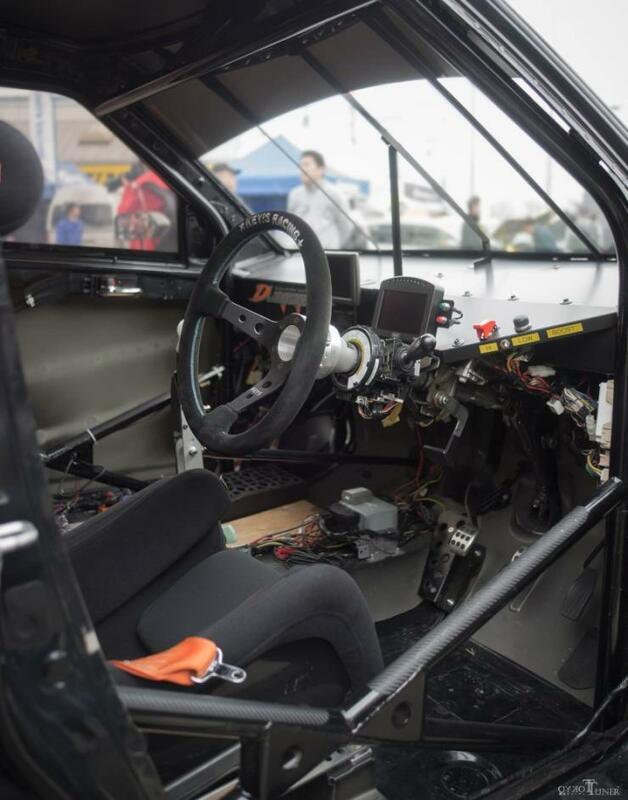 Then they added a roll cage, racing seats and harnesses and other things that goes into a race car’s interior. Then they got to engine. A big turbocharger was fitted, and stock engine internals swapped out for tougher, race-spec parts. These changes saw the engine outputting a massive 350 Bhp. Well, that’s how much difference a turbocharger (forced induction) and high compression race-spec parts can make to an engine’s power. After all these changes, the modified Swift weighs in at a little over 1,000 Kgs and has a power to weight ratio of over 350 Bhp/ton. 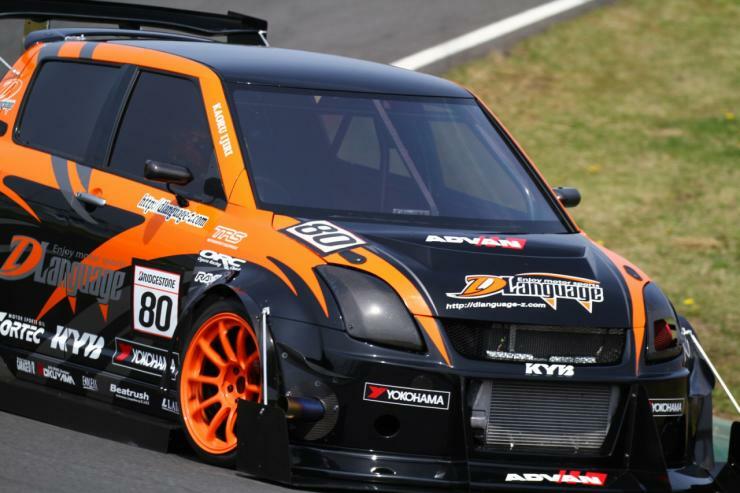 The power boosted race car rides on 295 section Yokohama slicks, which is nearly double as wide as the stock Swift’s tyres. The race-spec car hugs the ground courtesy the modified suspension, and features many carbon fibers bits all around to boost aerodynamics. Why can’t you get something similar done on your Swift in India? Well, if you pockets deep enough, you actually can. But even that won’t let you drive around such a Swift on public roads. Engine swaps are illegal in India. So you can’t get the 1.6 liter motor of the Swift Sport in a regular Swift. Also, you can’t add a turbo, and other power boosting bits without RTO approval. Insurers won’t insure such a car. This means that you’ll have to use such a powerful car only on the track, which kind of makes such modifications pointless, except if you’re a racer or a drag-race driver. With about 10 lakh rupees over and above, your regular Swift can become as powerful as the D-Language build, but you can’t drive it on regular roads.